Derrick Lewis believes Francis Ngannou was scared when they fought each other at UFC 226 last month. Lewis and Ngannou’s heavyweight meeting was one of the most anticipated fights of the year. The two are proven finishers and some of the most fierce competitors the division has to offer. Many were expecting an all-out bomb fest when they took center Octagon. Instead, mixed martial arts (MMA) fans received what many are calling the worst heavyweight fight in UFC history. Neither man pushed the action and had minimal offense. “To me, whenever he stepped inside the Octagon, he looked scared from the get-go,” Lewis said. “He wasn’t the same guy that I saw at the weigh-ins. Like, his facial expressions and his emotions and everything, it wasn’t the same. 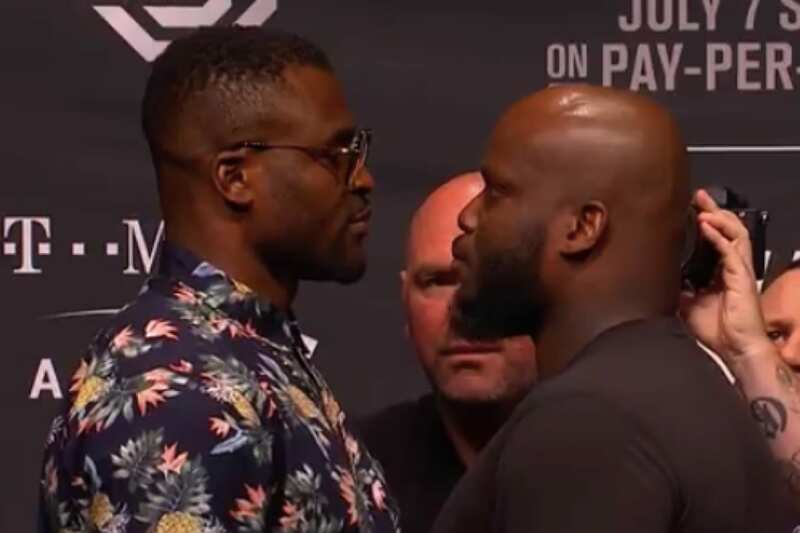 Ngannou was likely shaken up by his last outing against then-UFC heavyweight champion Stipe Miocic. The Frenchman was unable to finish the Cleveland native. He exhausted himself early in the fight and was handled by Miocic for the majority of the fight. “I was confused too, I tried to make him engage,” Lewis said. “I did a couple of things to try to make him engage, and he just wouldn’t do it. “I tried to do a little bit more than him and it just was weird to me too, the whole fight, so I don’t know – I don’t know what was going on.